After years of working in the Equine Industry and seeing the amount of work hours lost due to strains, sprains and disc injuries to employees backs from repetitive lifting of heavy bales , we now use smaller bales for our IEC Equine Elite Bedding and Meadow Grass to help reduce the risk of Manual Handling injuries. We spent time researching the guidelines for lifting, as the majority of clients that use our products are women and young girls. 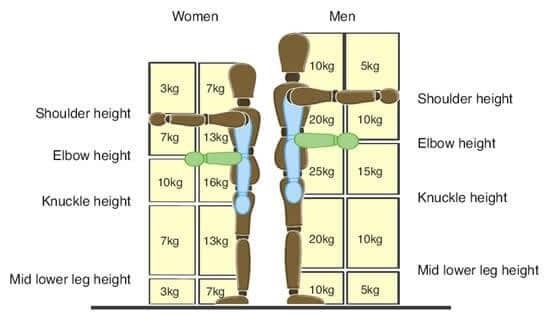 Manual Handling Guidelines set out “recommended safe lifting limits” for men and women. The recommended maximum weight limit should be adjusted depending on how the load is being lifted, how close to the body the weight is held, and how high or how low the weight is lifted. Visit our Jobs page for exciting careers. IEC was formed in 2009 to precision plant high yielding crops of miscanthus in the UK & Europe; we have been hugely successful in doing this and are now driving on with developing the use of energy crops for poultry and equine bedding, as well as engineering renewable energy projects using biomass and ground source heating.